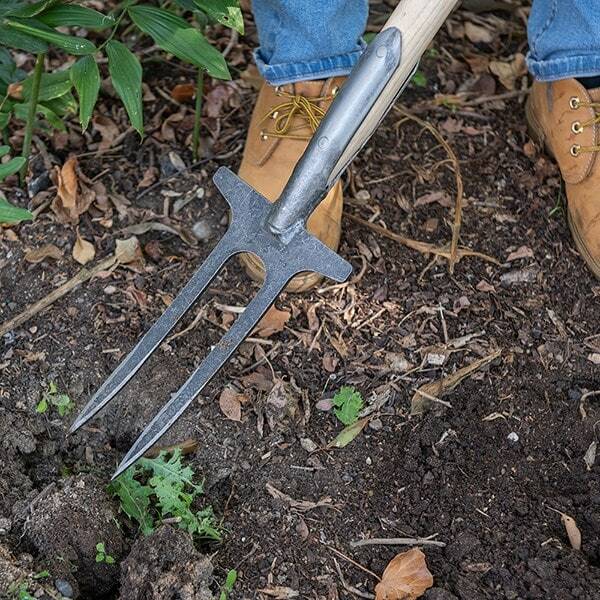 A rose grower’s best friend, this two-pronged steel and ash fork makes it easy to loosen and aerate soil before fertilising or mulching in spring and autumn. Insert the fork on each side of the roots and lift to break up the soil. Moisture and nutrients will better penetrate the looser soil, and roots will have more room to grow. Made from hand-forged carbon steel, the head features only two bevelled tines to exert maximum pressure and slice into even the most compacted soil with ease. Though designed for roses, it can be used to improve soil and boost drainage around all your shrubs, trees and climbers. 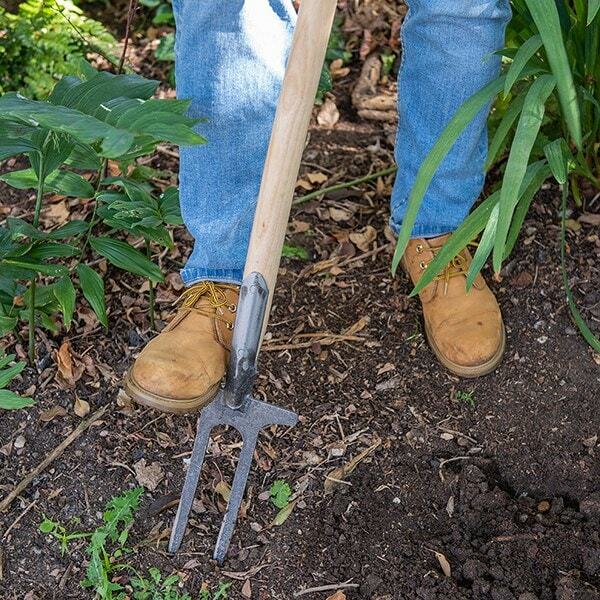 As an added bonus, the fork is superb for digging awkward long-rooted weeds out of heavy clay soil. For comfortable two-handed use, the tool is fitted with a chunky ergonomic T-handle made from solid ash. 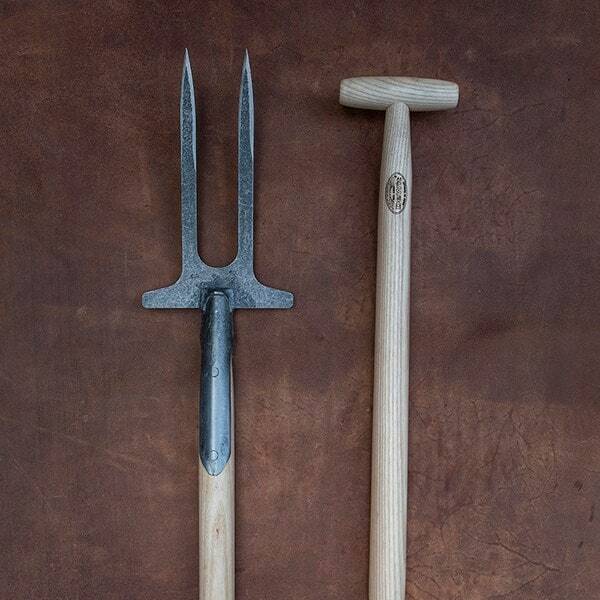 The Dutch are renowned for making the world’s finest garden tools, and De Wit is the most respected name of all. Founded in 1898, the family-owned toolmaker combines old-fashioned craftsmanship with innovative design to create superior tools that last a lifetime. I use this fork for digging up long rooted weeds in heavy clay and it is so satisfying to remove the whole weed! It is particularly good for dandelions and docks and I would rate it as one of my BEST tools,and worth every penny!